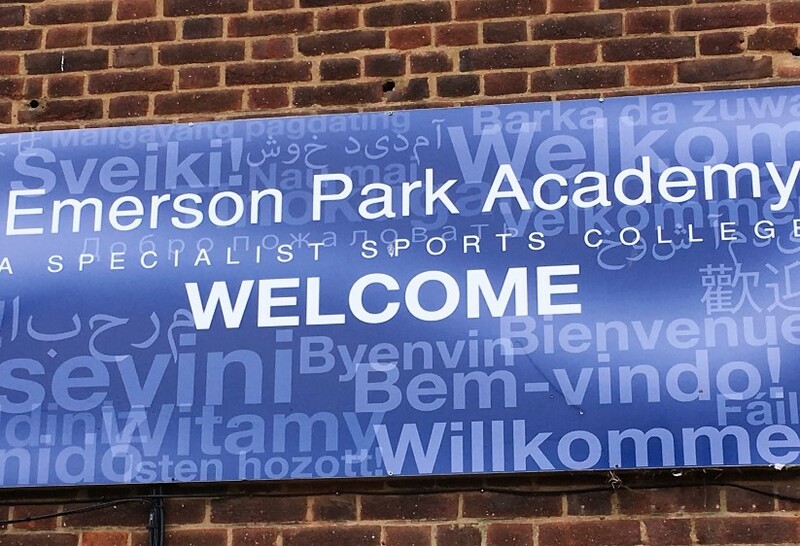 Emerson Park Academy is a mixed comprehensive academy for pupils aged 11 – 16 years. Since September 1999, 192 pupils have been admitted annually, in response to parental demand. The Academy can trace its roots back to 1943 when it began life as the only Grammar School in the country to be established during World War Two. 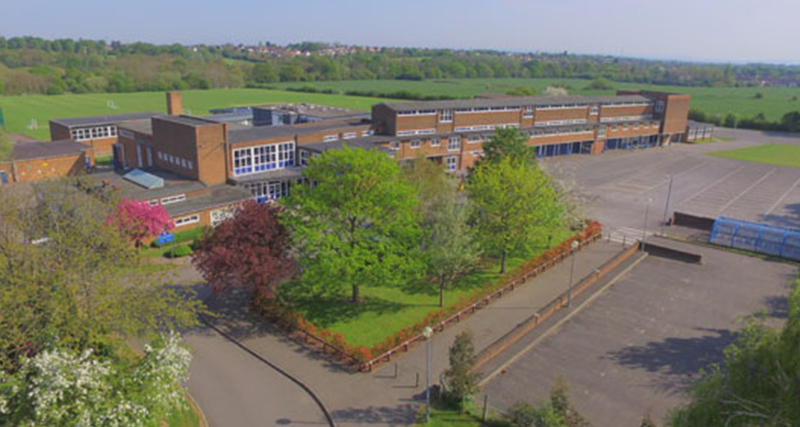 It moved to its present site in 1954 and became a comprehensive school in 1973. Emerson Park Academy was suffering from poor, flickering and outdated fluorescent lighting that was producing insufficient output. Frequent lamp failures created inadequately lit classrooms as well as high maintenance costs. The high wattage of the old lamps and the fact that many were left on unnecessarily made them very costly to run. In addition it was felt that lighting flicker, due to the lamps age, was distracting to both pupils and teachers. After meeting with our consultant Matt Savill, Emerson Park researched the advantages of LED lighting. 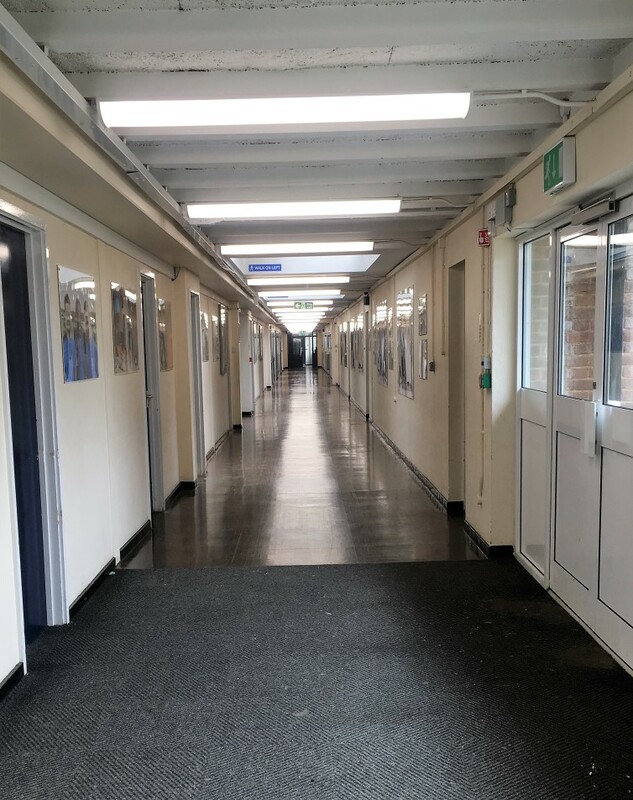 RS Lighting replaced Emerson Parks existing fluorescent fixtures with the highest performance LED products (manufactured by Luceco Ltd) in their S7 Science block. Following the in-stall of S7 and seeing the benefits, Emerson Park then went for a full school install. The money to fund the new lights, was already in the schools budget and being spent on wasted energy. 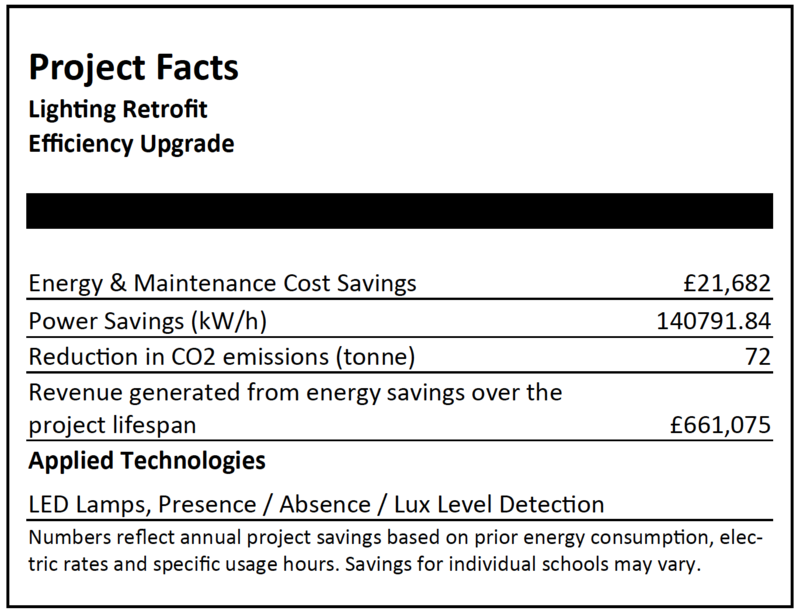 The School lowered energy cost by 80% and zeroed ongoing maintenance costs, allowing the school to fund the new lights using a Department for Education approved Operating Rental without increasing expenditure. The school now has new flicker free LED lighting throughout the building. 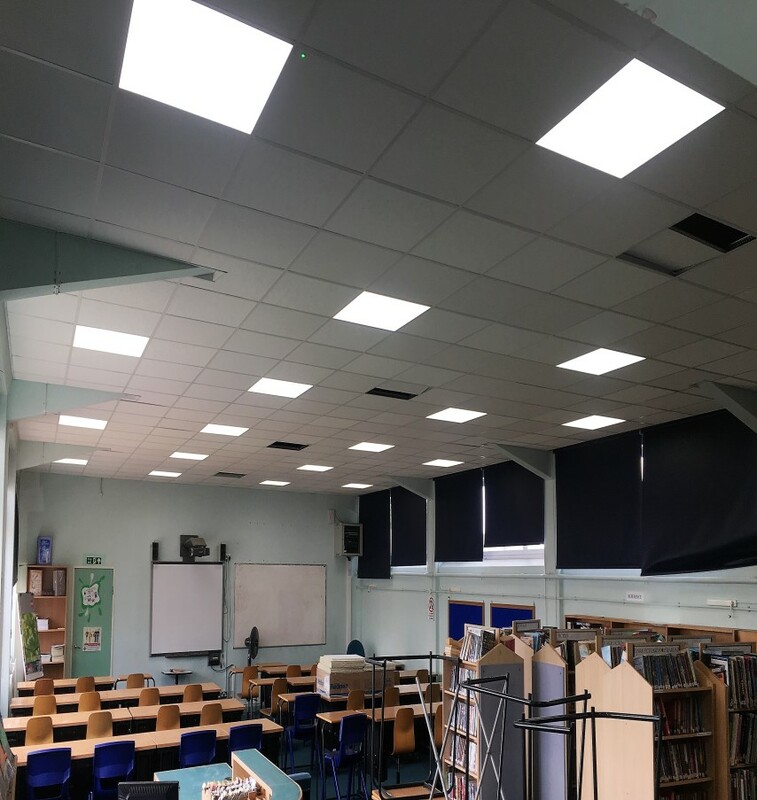 With over 987 LED lamps installed, Emerson Park Academy have now improved classroom lighting, reduced energy consumption by 80% or £21,682 per year and requires zero hours of maintenance time changing lamps. 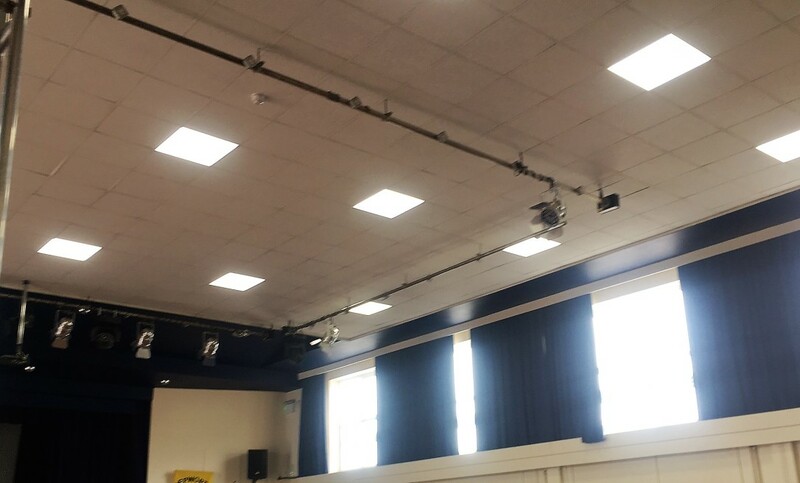 What a fantastic job the electricians did, it has turned the school around completely instead of those yellowish old lights. Thanks again to everyone at RS lighting. The corridor shown above is fitted with 6ft twin LED Academy fittings.